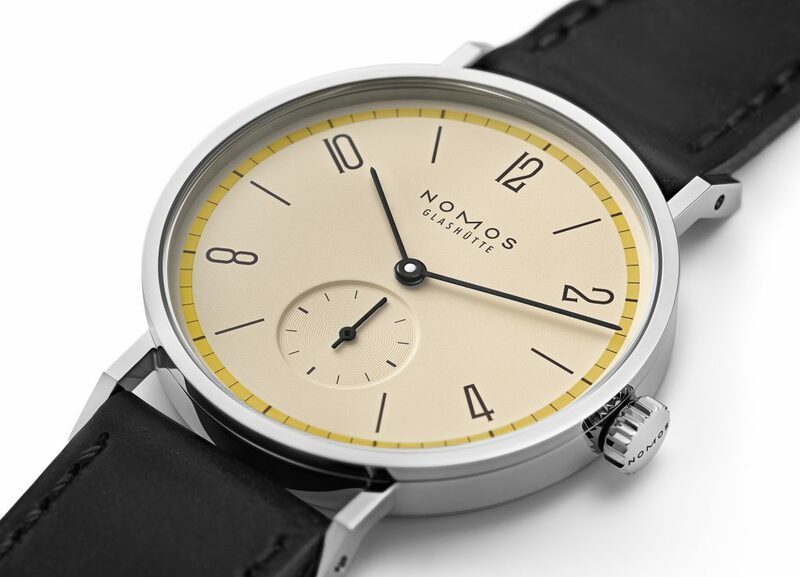 German watch brand NOMOS has always been all about clean design and Bauhaus styling. It is what makes this brand so coveted. 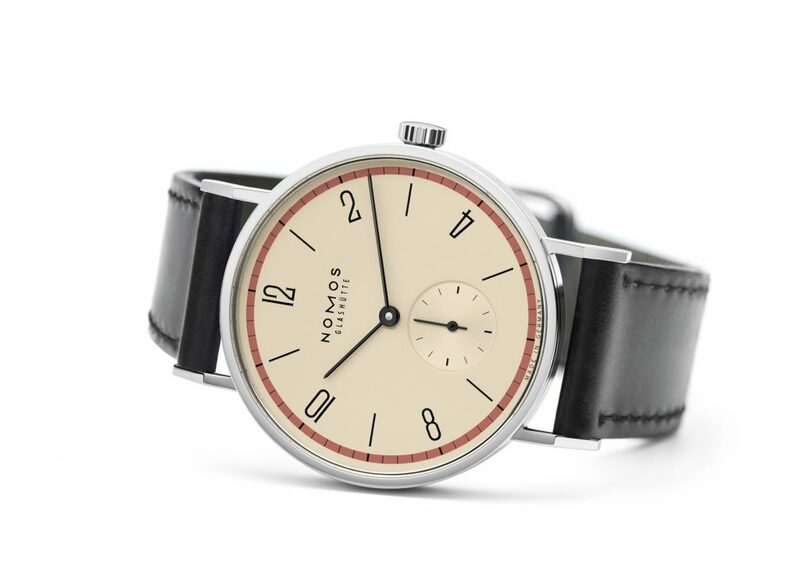 Now, to honor the 100th anniversary of Bauhaus style — taking place in 2019 — the company unveils a watch that celebrates the idea of concentrating on the essentials in design: a limited edition of the classic Tangente watch. 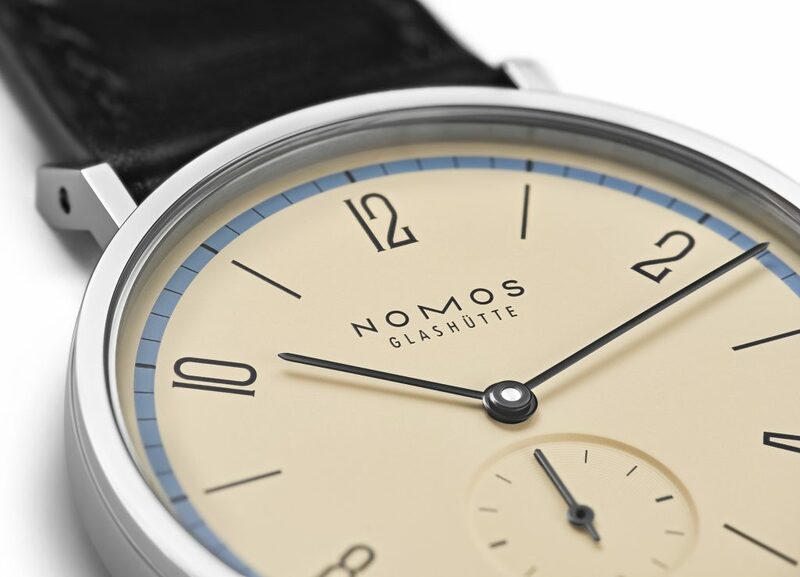 Easily the brand’s most recognizable watch, the Tangente from NOMOS Glashütte has been in production longer than any other model. 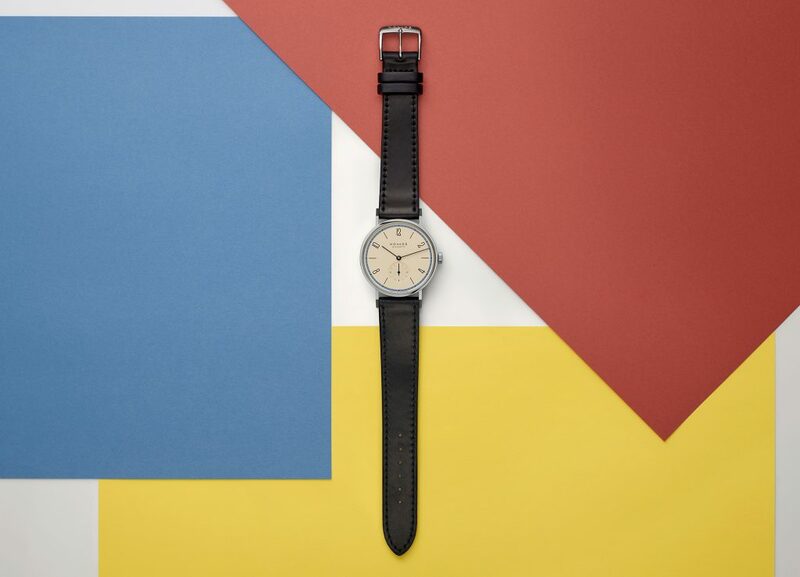 Thus, it is the perfect timepiece to celebrate the ‘Bauhaus watch’ look. 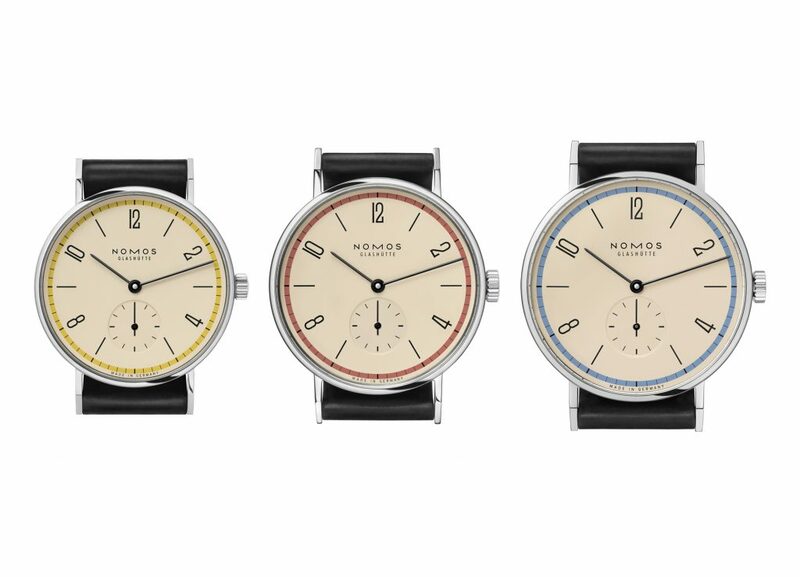 Available for sale later this month, the Nomos Tangente limited edition is being released in a nine-part special edition, with each version limited to only 100 timepieces. There are three size being offered, including 33, 35, and 38 millimeters, and each is being created with a dial ring in one of the three primary colors of red, yellow, or blue. The design was inspired by Paul Klee (considered the magician of Bauhaus) sketches and his statement that “Art makes things visible.” The color ring on each parchment-hued dial, depicts the simple principle of time moving in a circle. , elegantly depicting the basic principle of the watch: time moving in a circle. The Tangente 33 blue, red, or yellow retails for $1,660, while the 35mm is $1,800, and the 38mm sells for $1,930.